CANTON, Mass.–Chasm Advanced Materials, Inc. has begun producing few-wall and single-wall carbon nanotubes (CNTs) at its 18,000-square-foot manufacturing plant in Norman, Oklahoma, after acquiring substantially all of the assets of SouthWest Nanotechnologies (SWeNT) in 2016. The expansion is being further supported by Chasm's 12,500-square-foot facility in Canton, Massachusetts (near Boston), which serves as its headquarters and applications development center, the company said in a press release. Chasm has exclusively licensed the patented CoMoCATTM technology from the University of Oklahoma, enabling it to produce high-quality CNTs at large scale and low cost, Chasm said in its release. Beyond its manufacturing capabilities, Chasm specializes in the tailoring of its CNTs for target applications. 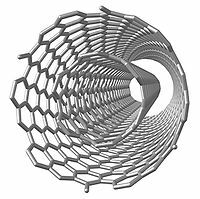 Carbon nanotubes are available in a variety of forms, including powder, wet cake, dispersions, coating formulations, inks, and coated or printed films. The company (www.chasmtek.com) is marketing its CNT products under the brand SignisTM. Applications for this specialized line of CNT comprise transparent conductive films for touch screens, displays, and solar panels; battery materials for use in smart phones, electric vehicles, and home energy storage systems; carbon electronics materials enabling next-generation memory (e.g., NRAM) and the emerging printed / wearable electronics market; and membrane materials for affordable and scalable desalination and water purification. "Chasm has been developing carbon nanotube materials and applications for more than 10 years," said David Arthur, Chasm CEO and co-founder, in the release. "Our acquisition of the state-of-the-art factory in Norman (previously operated by SWeNT) positions Chasm as the leading supplier of high-quality few-wall and single-wall carbon nanotubes. We could not be more excited about the prospects for success that now exist for not only Chasm, but also our customers and collaboration partners." Chasm's SignisTM CNT products are available directly from the company, or thru Sigma Aldrich, a distributor of specialty materials to industrial and academic researchers around the world. Chasm's engineering and R&D resources are located in both Canton, Massachusetts, and Norman, Oklahoma.